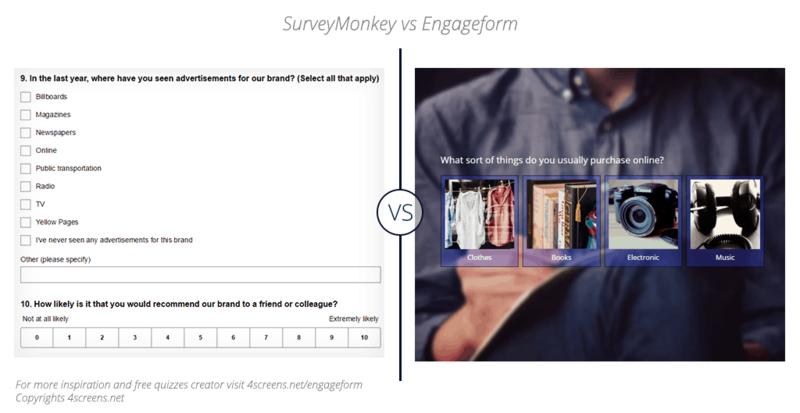 Online surveys are an invaluable aid in understanding what your consumers or users think about your products and services. 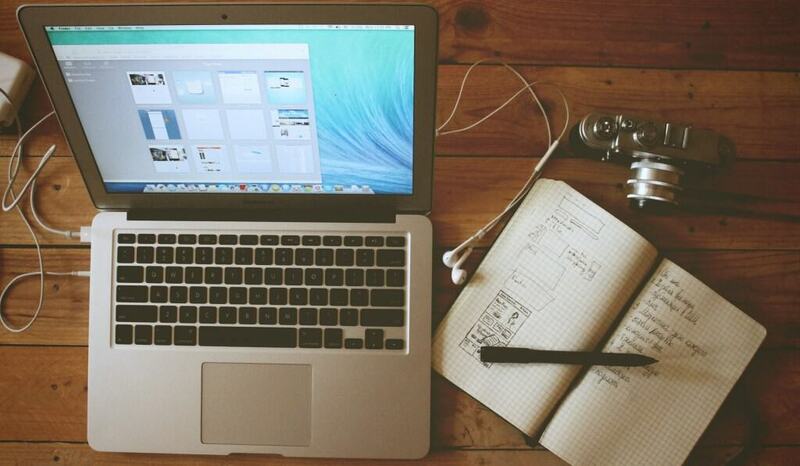 They can bring you information how well received your event is, you can use them to evaluate a new program or make a research on a project without breaking your budget. 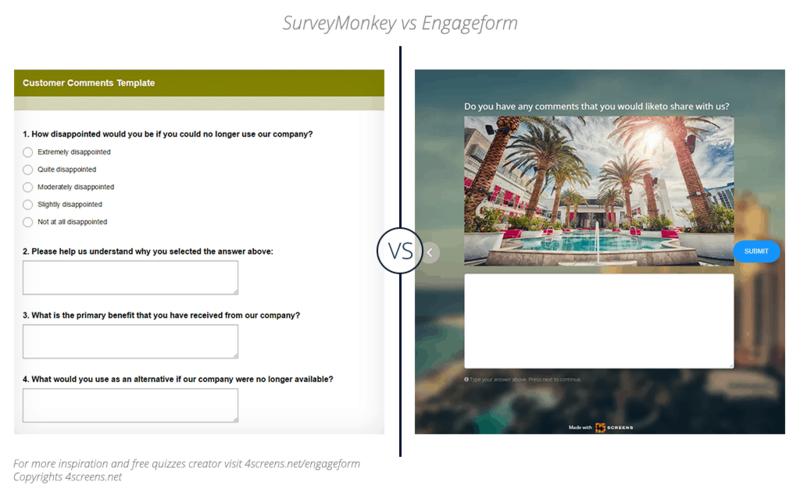 In this article I will compare two Online Survey Tool – 4screens Engageform and SurveyMonkey. 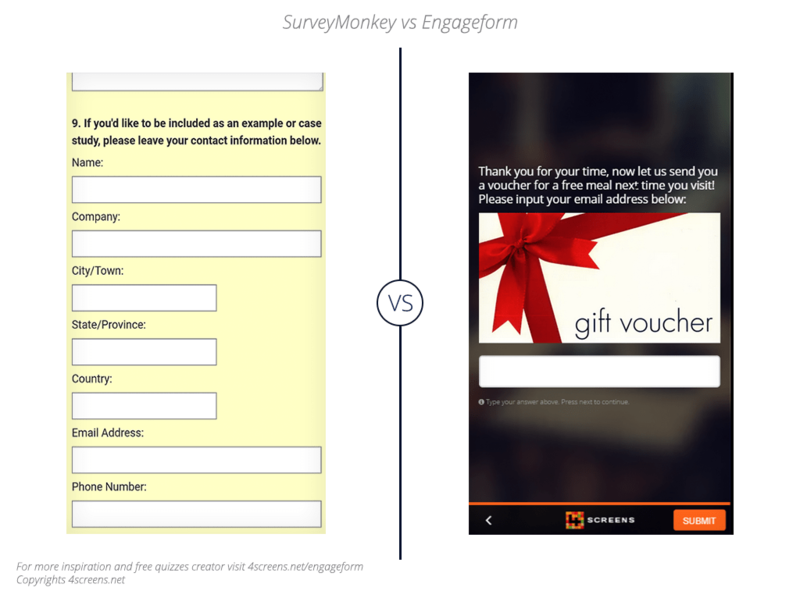 Let’s compare the user experience between SurveyMonkey (on the left) and Engageform (on the right) in those 4 areas to discover the best Online Survey Tool. I will leave the judgement on your side. 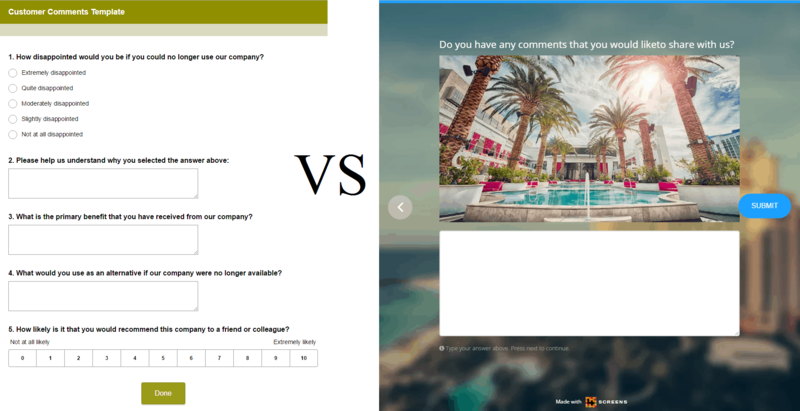 If you need help with making a decision turn to this article: 4 trends in Customer Satisfaction Surveys to Bring the Best Results. 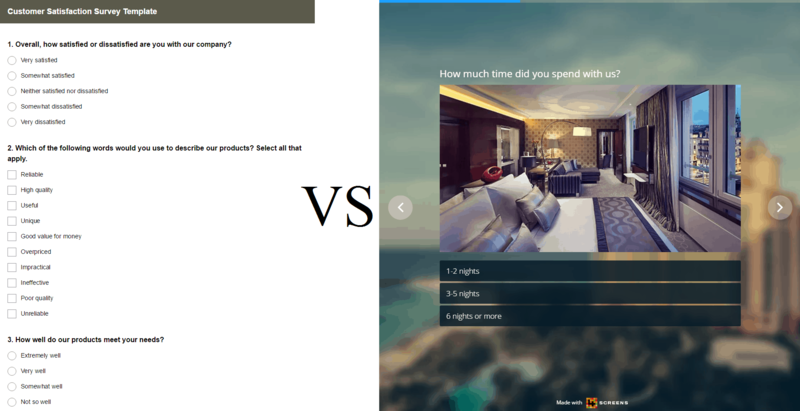 We did a customer survey after an event to collect feedback. 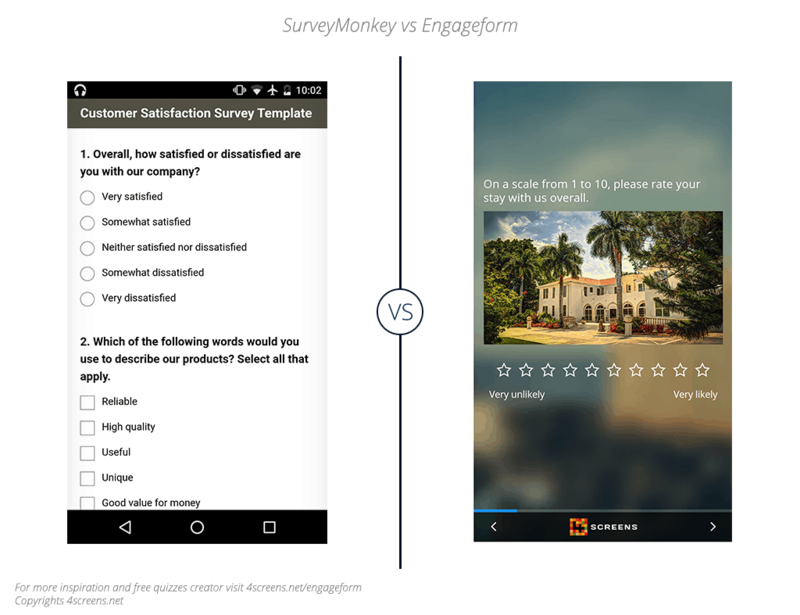 Many would have liked to answer the survey but the SurveMonkey form doesn’t look very good on a mobile phone and it was difficult to answer to it. People who did it later from their desktop had no problems, but we were a bit disappointed to it’s mobile compatibility. 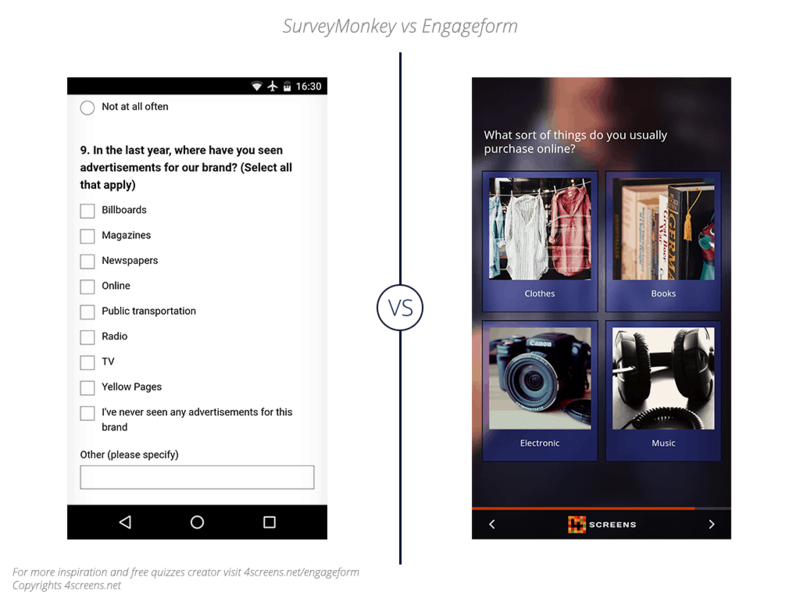 With Engageform I can promise that your surveys will work awesome on every device which will bring you the best results. 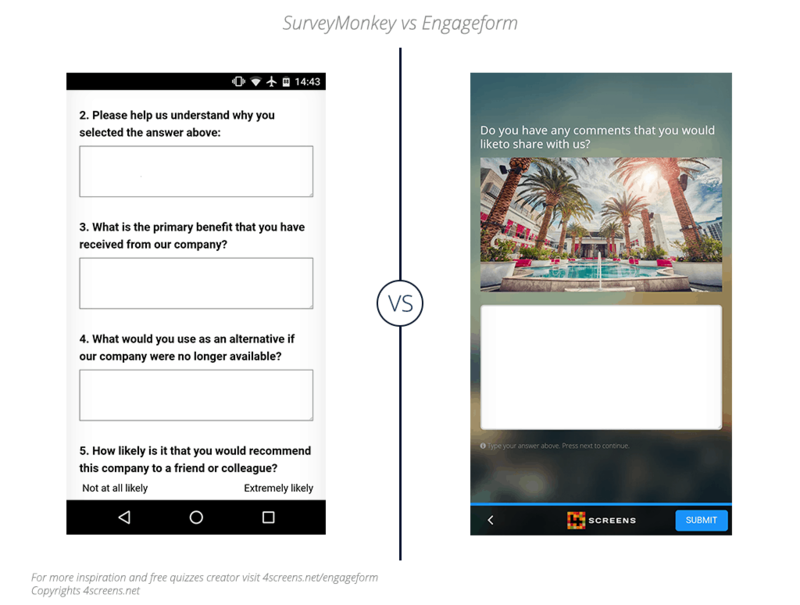 Create and share mobile-friendly surveys and get 35%+ higher survey completion rate.